Would you like to add more papers? FINISHED SIZE: 60” x 75” approx. 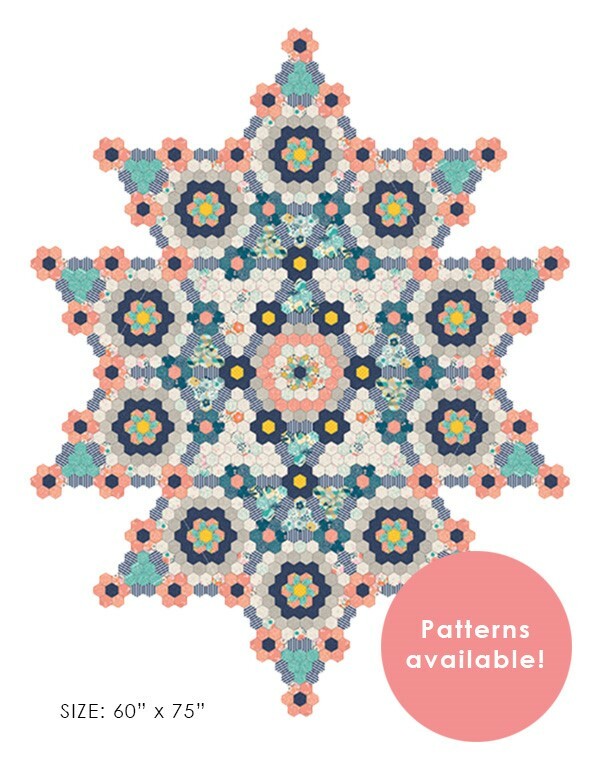 Rose of Kaleigh is an allover English Paper Pieced hexagon quilt made with Ava Rose by Deena Rutter. 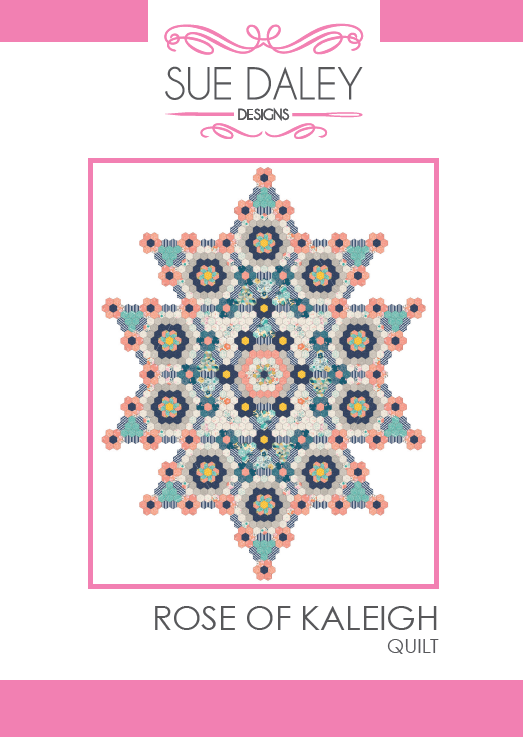 Rose of Kaleigh is being run as a Sew Along on the Sue Daley Designs blog and Instagram @suedaleydesigns, beginning March 1 2018! The quilt is made up of 1485 Hexagons and included in this set is 800 Hexagon Papers which can be reused a number of times. If you do not wish to reuse you can add on more packs by selecting the add on option above.